Peridot offers a wide variety of colors, so you can always find something to match your mood: light, bright, white, dark, stark or just plain fun! 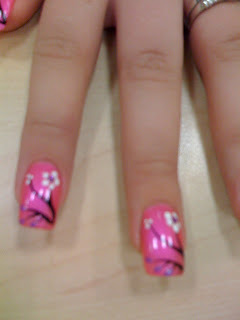 If you want to take it one step further, ask us about our Nail Art. We can paint designs, add faux jewels and more. Just ask to see our samples and we’ll show you the many options our nail technicians can offer. 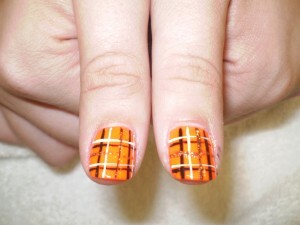 Here’s a sample of a plaid design that’s popular right now. 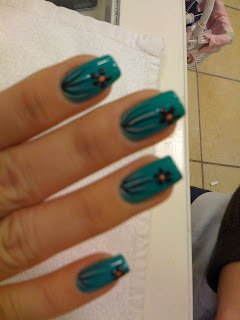 We can do thumbs only, one nail, all nails or something in between.